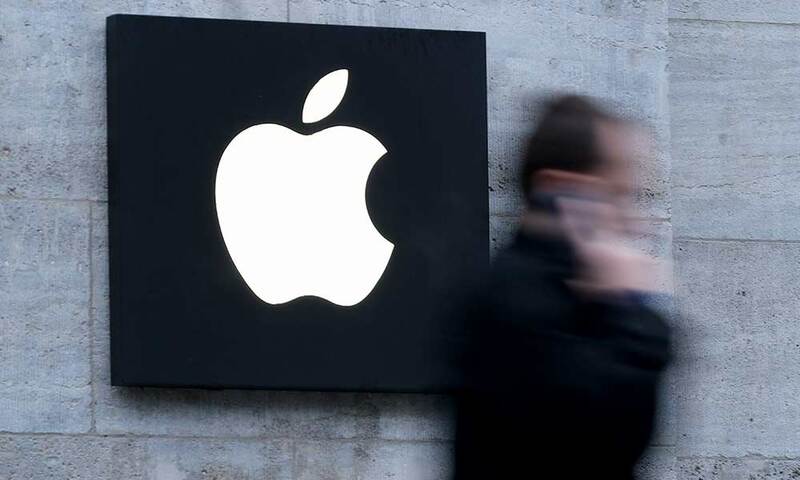 Apple Inc., which became the world’s first trillion-dollar company last year, had expected to contribute by its own estimates $55 billion dollars to the US economy in 2018. But CEO Tim Cook last week warned investors that Apple could be facing a revenue shortfall amounting to billions of dollars—an announcement that led to a drastic drop in the stock market. Abraham Seidmann of the University of Rochester’s Simon Business School believes the market has overreacted. “Apple still has a huge majority of all profits from the selling of cell phones,” he says. At the same time, Seidmann, who is the Xerox Professor of Computers and Information Systems and Operations Management, says Apple needs to take a number of steps to remain competitive in the long run. What makes you confident in Apple’s short-term outlook? First, Apple is still the leader in profits from cell phone sales. Second, the company developed an ecosystem which gives users the ability to back up data to the iCloud, where music, pictures, and other data are stored. That helped make the cost of switching to other phone services very high. So unless you’re highly sophisticated, it’s hard to get outside the Apple franchise. Consequently, the company has a huge repeat business. Will Apple’s lower revenues affect other industries? Yes. There are two domino effects at play. One involves Apple’s suppliers, mostly abroad, while the other has to do with the developers of the Apple universe, who are mostly domestic. This is really bad news for both. How important is the iPhone to Apple’s revenues? It’s a huge part of the company’s revenue, as well as its profit margin. In the US, the iPhone is still a dominant platform. In the rest of the world, the Android machine is encroaching on Apple’s sales, but the iPhone is still the premier device. How has the smartphone market changed in recent years? The one challenge Apple faces is that these days some of the Android machines have a way better technological capability than the iOS. The iOS is somewhat of a closed playground, and that makes it extremely difficult for users. It’s much easier today to develop an app for the Android than it is to develop an app for Apple. As a result, I can see a growing number of companies only developing apps for Android because it’s easier to deploy and easier to manage. And that’s something Apple needs to address now. Apple blames lagging sales in China, as well as the US-China trade war. Is that a fair assessment, and are any of Apple’s current problems of its own making? Part of the problem is that Japanese and other international makers of mobile phones have done a phenomenal job in coming up with attractive designs and clever technological features. Also, in order to lower costs, Apple outsourced its manufacturing to China, and now all that know-how has moved to that country, where it’s being turned against Apple. The only thing Apple overestimated was the demand for the new phones—the high-end, expensive ones. The public found out the smaller phones are better because they cost less and they’re easier to handle. The bigger phones don’t fit into the pockets of the pants or the wallet, and they’re not as comfortable as expected. So there was a change in customer tastes that really hurt Apple, but I believe it’s all temporary. They will bounce back. You said that Apple has made it difficult for customers to switch from the iPhone to other brands. Has it become more difficult for Apple to attract new customers, and will that make a difference to the company? It depends pretty much on the demographic. There are individuals who are looking for the prestige that’s found in the iPhone. But younger consumers, particularly those in the emerging markets, like China and India, are looking for cost-effective, inexpensive phones, because for them the phones are like disposable jewelry. They like to buy new models with the latest features every year or two. And the question is, how will Apple be adding new features and capabilities which are unique to their machine? How significant is the cost of the phone? Once you cross over three digits in cost, customers begin to shy away, because if the phone falls on the floor and breaks, the customer has lost more than a thousand dollars. And Apple recognizes that cost is an issue. I expect that Apple will shift more and more from selling phones to leasing them. The company will also try to make more money from ancillary services, such as data and image storage—services that don’t rely on whether or not you have the latest phone. What is the long-term outlook for Apple? In the short to medium term—two to three years—Apple will be in great shape. But the company needs to consider what comes after the iPhone, which is already 11 years old. They need another breakthrough product, because technology will catch up with you. There will be other forms of communication that will make the iPhone obsolete in five or six years.